The Telefunken Elektroakustik U47 tube mic system is an exact design circuit rendering of the classic U47 tube microphones used to record so many records [Frank Sinatra, Ella Fitzgerald, Ricky Nelson, the Beatles...] over the last 60 years and provides performance characteristics of the original vintage Telefunken U47 tube microphones of the 1950s-1960s. They are based identically on the 105v power supply systems which employed VF14 vacuum tubes, and can fit and accommodate any remaining VF14 tubes found today. The microphone circuitry employs original BV8 output transformer design, choice of M7 (Telefunken chrome top long body) capsule or KK47 (Neumann era satin finish short body) capsule, VF14k tube module (supplied stock, military grade lower self noise and operating performance of VF14), original tube socket, original type cable connector. 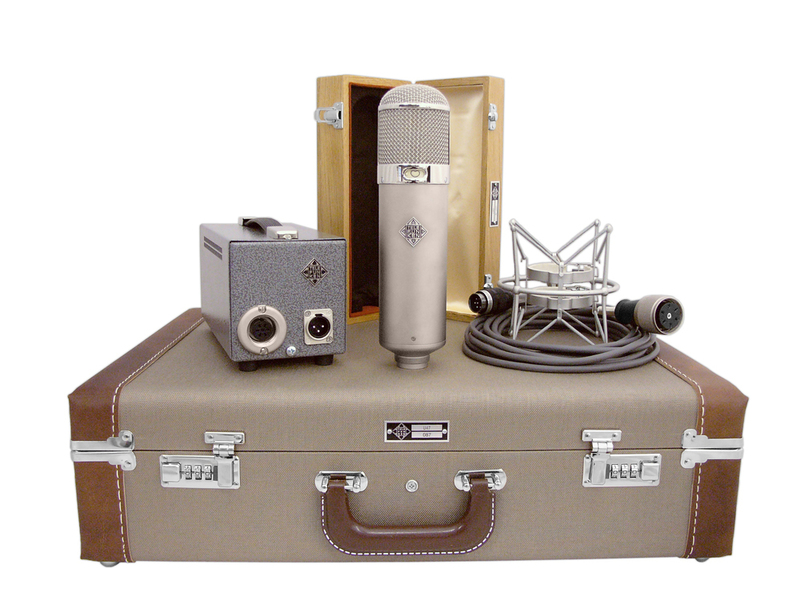 All systems include microphone, power supply, stand mount, mic-psu cable, and vintage tweed system carry case. Polar pattern selector on mic body, omni and cardioid patterns. See U48 for figure-8 and cardioid patterns. Dimensions / Size 240 mm L x 60 mm Dia.